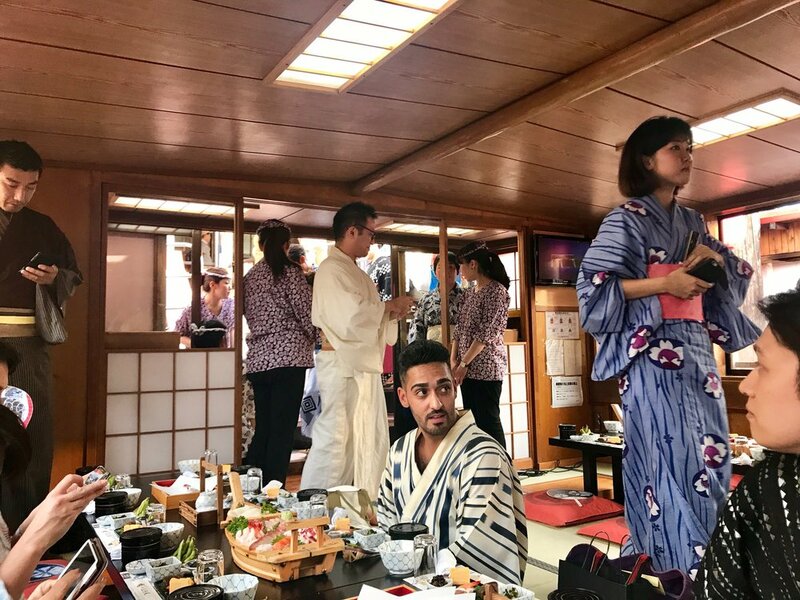 Yakatabune, or Japanese houseboats have been around in Japan for hundreds of years and served as private boats for for entertaining guests. Many were luxurious and lavishly decorated affairs, especially that of the Shogun. The boats are most often adorned with tatami flooring, low tables and shoji sliding doors, with red lanterns lining the outsides of the boat. While it cannot be confirmed if they were outfitted with video karaoke systems during the Heian period, I think it is safe to assume that this was indeed the case. 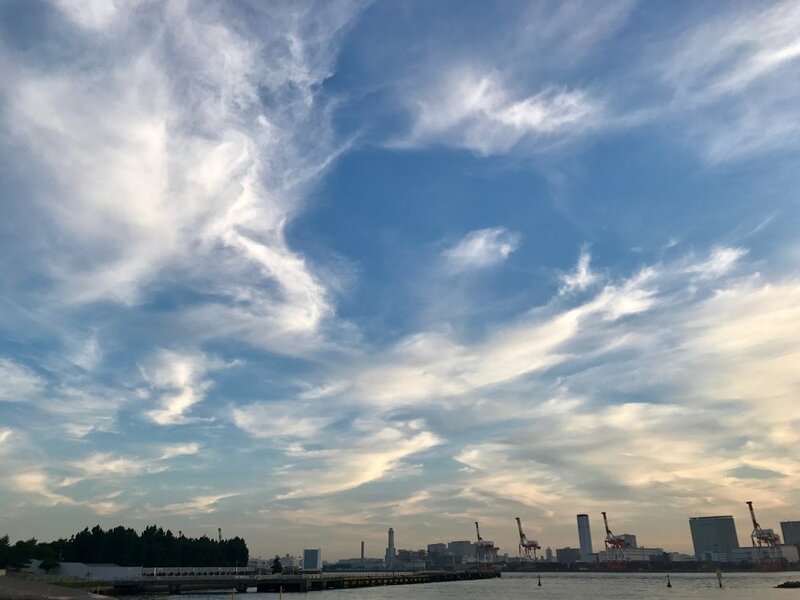 Our particular cruise started of off at one of the docks that line the waterways leading into Tokyo Bay near Shinagawa station. It was interesting to see the stark contrast of these old-fashioned boats jetting through the rivers next to modern skyscrapers stretching into the sky. The perfect embodiment of the feel of Japan! 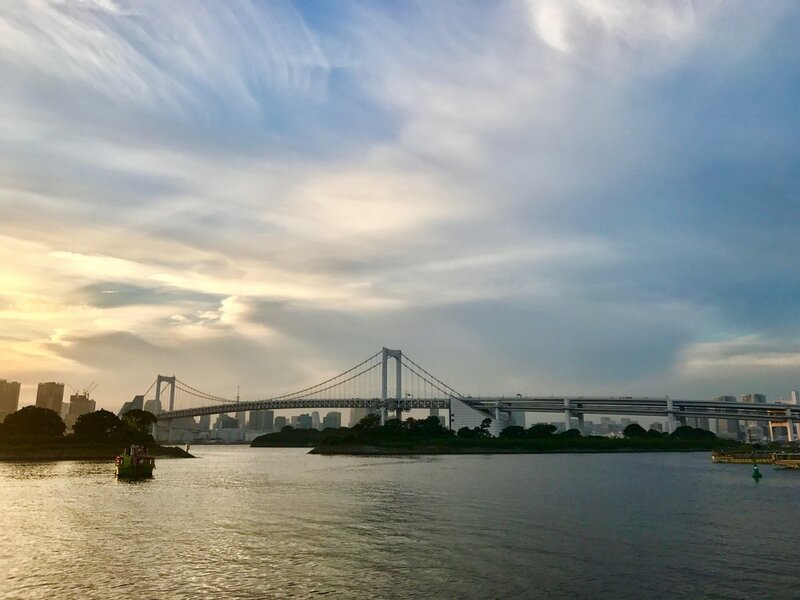 We wound our way through the maze of buildings built right up against the water's edge and out into the Tokyo Bay near the Rainbow Bridge connecting Minato-Ku to Odaiba. 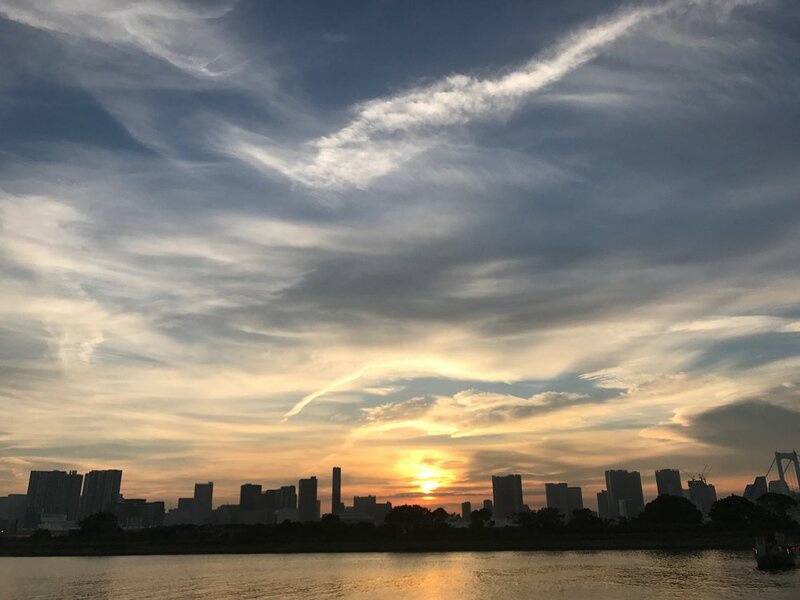 We feasted on sashimi, tempura, miso soup, and a variety off well-prepared Japanese delights while the sun lowered in the sky. After anchoring near the one-of-a-kind Fuji TV building on the man-made island Odaiba, almost all of the 50 or so people on board made their way up to the rooftop to take in the breathtaking view of the sun setting over central Tokyo just beyond the bay, painting the wispy clouds in the sky with beautiful hues of pink and blue. 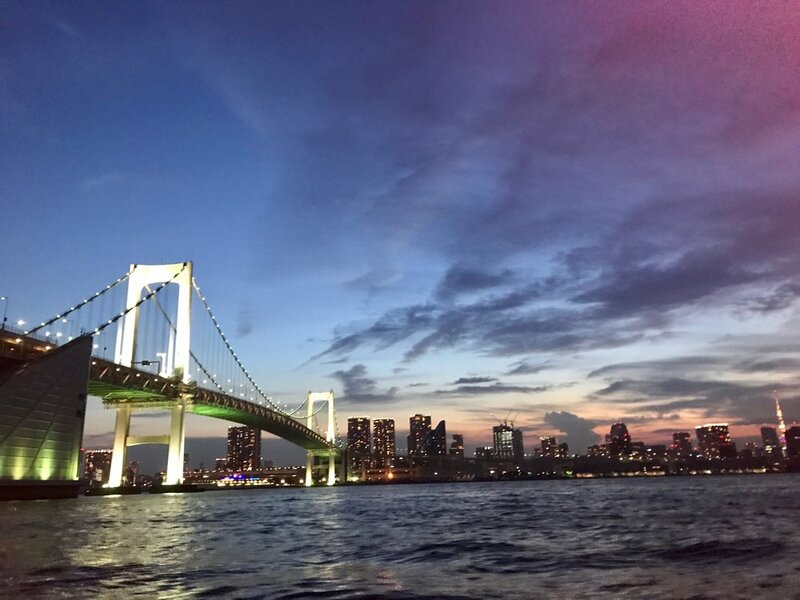 Once the sun had set, the boat went towards the mouth of the Sumida river for a glimpse of Tokyo Skytree and then back to the dock at Shinagawa whilst the merry band of passengers belted out some sweet karaoke tunes. 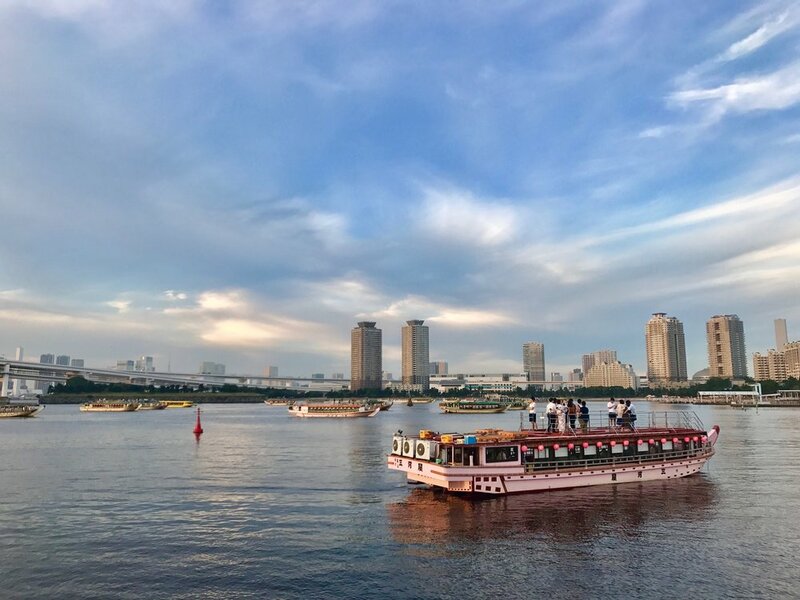 All in all, it was a wonderful evening and a surreal getaway from the hustle and bustle of Tokyo to take a trip into Japan's historic past. 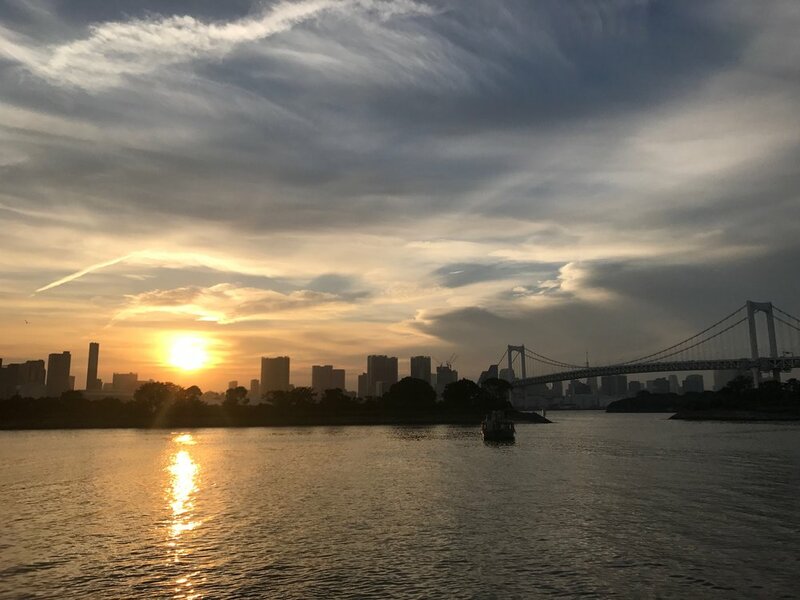 I am grateful for the wonderful person whom invited me and recommend this tour for anyone looking for a relaxing, gorgeous, and fun Tokyo getaway!